We just got back from a wonderful week on Hilton Head Island, SC. Except for one day of rain, wind and cold temps, the weather was wonderful. Hubby even played in the ocean! Not me, I only went in up to my ankles. The island has a great bicycle path system and we made great use of them. And, of course, there were the walks on the beach. Daylight Savings Time had ended, so I prepared for the long evenings by packing lots of hand sewing and a machine project. I set up the machine at the end of the kitchen counter. It wasn’t ideal, but not bad for just a short time of sewing. 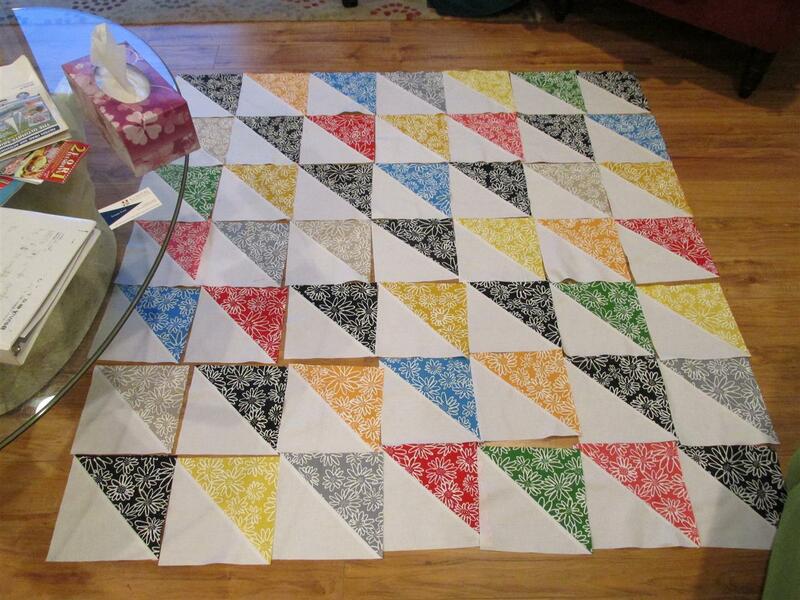 I pieced many half square triangles so there was a lot of squaring up to do. 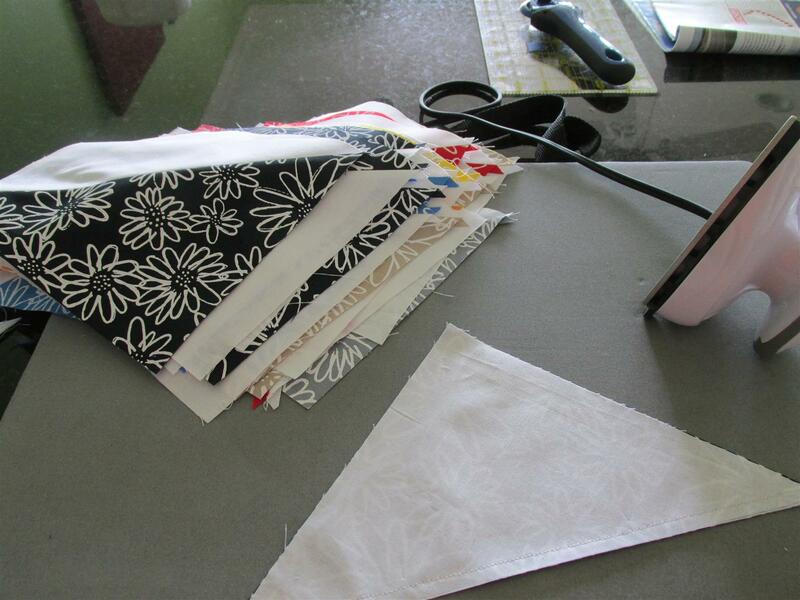 That and pressing open my seams was so doable because I was facing the ocean while working! I managed to complete a needle work project, sew bindings on two table runners and complete a Hospice quilt top. 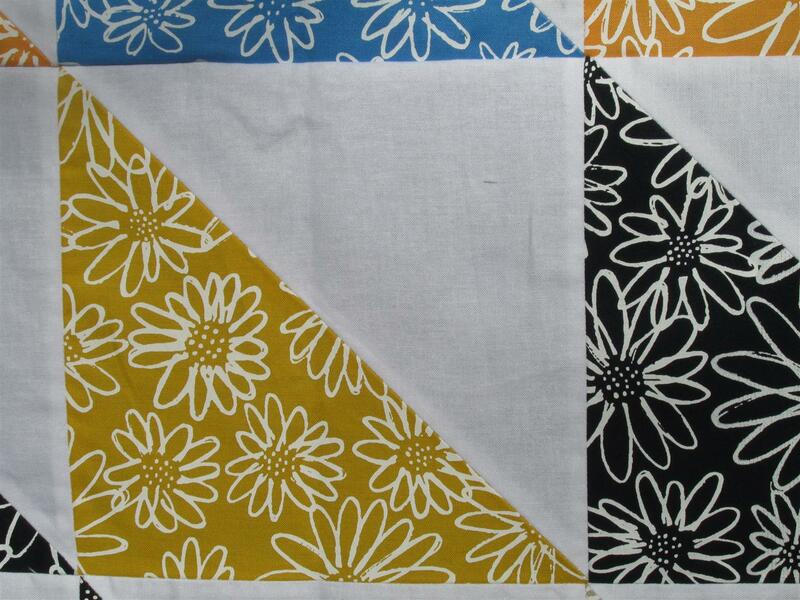 This quilt top is just so cheerful and I surely hope it has that effect on the person who will receive it. The bright and fun fabric was donated to our group by Kaufman Fabrics. 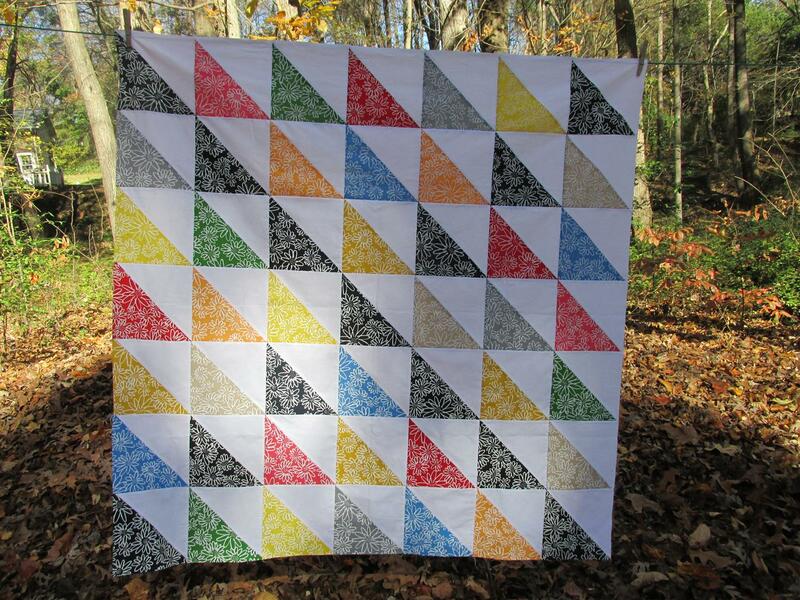 It probably won’t get quilted until after the holiday season but will be fun to bring out in January. 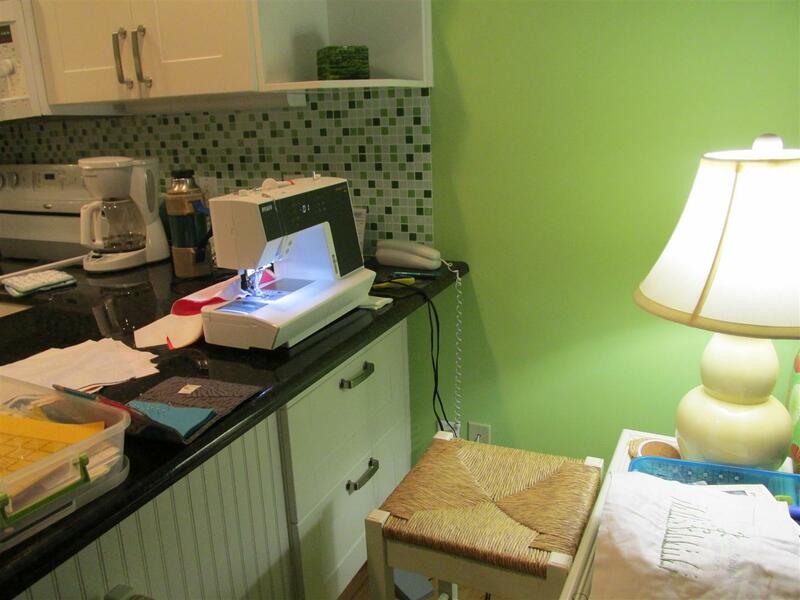 Beach Fun and sewing – a perfect vacation!! So bright and cheery! Someone will love it! beautiful fabrics and a lovely design that will surely bring cheer to anyone!